New optics find their way to the market every so often and these are generally improvements over their predecessors. We know that the expensive professional grade lenses are best in terms of build and optical performance. But it is possible to find some excellent lenses which are modestly priced, or at least vaguely affordable (if you don’t mind losing out on weather sealing and rugged construction). As a full-time professional my needs can be more complex than that of the average user. I need lenses for work which meet my demanding expectations and quality requirements. I also take a lot of photographs when I'm out and about - and I still want good quality glass. But I also want small size, light weight, and lenses which are easy on my pocket as well. I'm a great believer in owning an ‘everyday walkabout’ lens covering a wide to telephoto range whilst offering good sharpness (at least across most of the frame). There are some good kit lenses which often accompany the purchase of any new camera - a case in point is the Canon EF-S 18-55 IS STM lens and virtually all of the Micro Four Thirds kit lenses. The little Sony E mount 16-50 PZ isn't as bad as some will have you believe (it suffers from distortion at the wide end and softness at the long end, but it’s pleasingly sharp in between). Another walkabout lens I’ve rated highly is the Panasonic 14-140ii and the Sony E 18-200 (the original silver version). The latter is a great lens but I found it slow to focus at the tele end. Until now, Sony’s E mount 18-105 f4 G lens has been their best offering for general purpose use. Sony have finally caught up with some of its competitors and have just released their own ‘multipurpose’ lens in the shape of an 18-135 f3.5-f5.6 optic, specifically for E Mount Sony APS-C cameras. This is a classic choice and there are similar offerings from Fuji and Canon (the latter being less than half the price of the Sony). As with most Sony lenses, it isn't exactly cheap. But is it any good? ‘Kit zooms’ are generally known for being less sharp than their professional equivalents, particularly at the long end. They’re also known for chromatic aberration around high contrast points, and soft corners and edges. In fact most zoom lenses, even expensive ones, are likely to suffer from this to an extent. Prior to getting hold of the Sony 18-135 I’ve been happily using the Sony 18-105 f4 G - this is a very nice lens indeed. It's sharp, very light weight considering it's consistent f4 aperture, and it has pretty good edge to edge performance as well. I'm not a big fan of its electronic zoom mechanism, but it's ideal for videographers. Even though it's light, it's a little too large to fit comfortably into my handbags and this was one of the motivators in trying the new 18-135. The new lens means I'm giving up a stop on aperture (this hits f4.5 by 27mm and f5.6 at 55mm) but it's smaller, a bit lighter (at 325g) and it has more reach. Therefore the big question is - will it be enough to prompt me to sell my 18-105 f4 G? As you can see from the following photograph there is a noticeable difference in size between the two lenses (the 180104 f4 G is on the left). The weight difference (102g) isn't as obvious as I’d expected though. The 18-135 balances very nicely on my Sony a6300, which is the camera I've chosen for these tests. You can also use the Sony e-mount APS-C lenses on the Sony E Mount full frame cameras (thanks to the very useful Super 35 mode). Some lenses are prone to distortion. If you're a JPEG shooter you may not even be aware of the extent to which your lens distorts (or where in its range the distortion is at its worst) - the software which drives the JPEG engine in your camera can automatically correct for this. However the RAW shooters amongst you will know that you have to correct this yourself afterwards during post production. Your editing software will normally have a set of lens profiles which are updated from time to time. Enabling the correct profile will correct distortion for you. Be aware that distortion corrections (including in-camera JPEG corrections) will result in a small amount of cropping of the image. What if your software doesn't have a profile for your new lens? That's the situation I face with the new Sony 18-135 because I use the standalone version of Adobe Lightroom - this is no longer updated by Adobe (grrrrr) which means that in time (in other words, as and when I buy a new camera) I'll be forced to use an alternative for editing and processing. Subscribing to Adobe’s Creative Cloud is something I want to avoid for as long as possible. Anyway, back to distortion correction - if your software programme doesn't support your new lens it’s fairly easy to create a good enough profile, which I've done. You can either base your profile on that of another lens in your library, or you can use specific software to create a custom profile from scratch and add it to your editing package. The images below show the same scene shot with both the 18-135 and the 18-105. These are uncorrected RAW files, with no profile adjustments made (unless indicated otherwise). You can see how obvious the pincushion distortion is on the Sony 18-105 (this is throughout it’s entire range, apart from when it’s at its widest focal length). The Sony 18-135 suffers barrel distortion at its widest focal length but is OK thereafter. After determining a ‘near enough’ correction profile for the 18-135 the result is quite good. Sharpness can be measured from the centre of the frame through to the edges and corners, which are normally the weak points. Whether or not a loss of sharpness at the edges all corners will bother you mostly depends on what you shoot. If you shoot portraits then chances are edge sharpness isn't particularly important (in fact centre sharpness may not be all that important either). The same could apply to street photography. But if you photograph landscapes, or architecture, then edge to edge sharpness becomes much more important. Most consumer oriented zoom lenses have varying degrees of edge and corner softness. I recently reviewed the Tamron 16-300 and 18-400 lenses and I found both to be unacceptable in that regard. The sharpness in the centre was very poor as well in my opinion. I would say that a small amount of corner and edge softness is to be expected with certain types of lenses and providing this doesn’t appear intrusive it needn't be a problem. But everyone is different, and your determination may be different to mine. 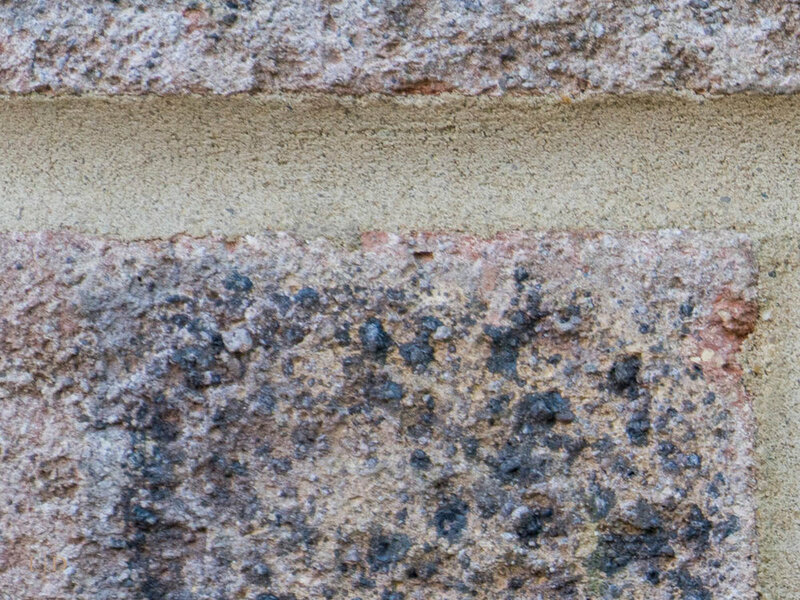 Let's take another look at the brick wall RAW photographs taken with the Sony 18-105 f4 G and the Sony 18-135. The crops are taken from the top left hand corner. In these examples I’ve applied distortion correction when appropriate, because we would not use uncorrected images for any purpose. I haven't corrected chromatic aberration either - both these lenses are very good in that regard. There is some evidence of chromatic aberration on the edges at the focal range extremities, but it's minimal and very easy to rectify. And now the 18-135 …. 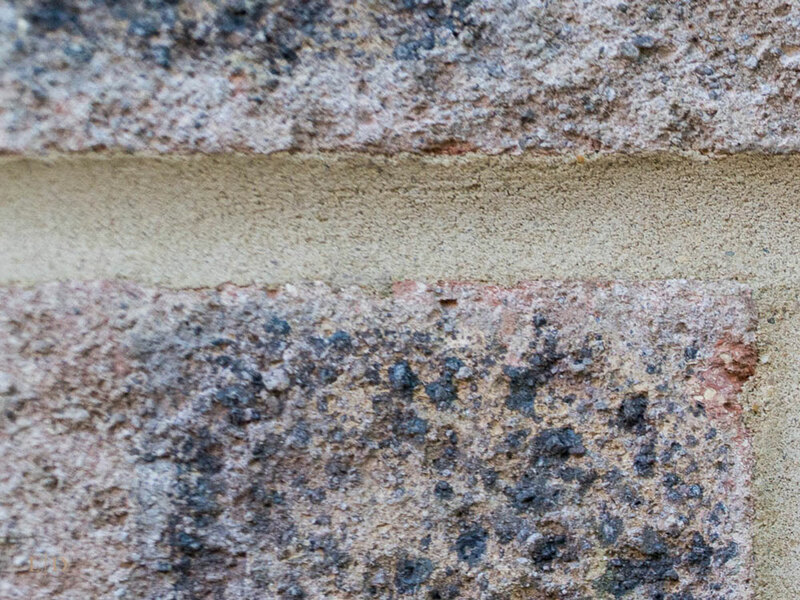 Photographing brick walls can be helpful, but it isn't the same as taking proper photographs of the kind of subjects we would normally favour - preferably in a familiar environment which you've photographed many times before. Out in the field with the 18-135 I concerned myself with focus speed (in various lighting conditions and distances), colour and contrast, flare, and autofocus accuracy (again in a variety of lighting conditions and distances). Do remember that each edge will need to be in equal focus to avoid depth of field differences skewing your results. Although the lines of buildings I photographed aren't perfectly perpendicular to my camera, they’re some distance away and lie within the sharpness zone. My test shots have all been taken at f5.6 simply because this represents the aperture value I use most often in the field when using my APS-C cameras. And many buyers are keen to know how a lens performs at its maximum aperture at the long end. Stopping down much beyond that can introduce diffraction and even moderate stopping down isn't the best option here in the UK at certain times of the year when light can be low. However I can confirm that f8 yields some improvement in edge sharpness. In Lightroom I’ve applied my standard capture sharpening of Amount 39 and Radius 0.6. In conclusion I would rate the Sony 18-135 as an excellent everyday walkabout lens. There is a degree of edge and corner softening at the widest and furthest points in the focal range, which is not unexpected. But it is also exceptionally sharp in the centre throughout its range, and is entirely sharp edge to edge from 25mm to 125mm. It easily beats my previous (and much-loved) Panasonic 14-140ii in every sense, and that lens has a well deserved good reputation. In terms of centre sharpness the Sony 18-135 even beats my Olympus 12-40 f2.8 Pro. Chromatic aberration is minimal, very easy to correct, and is confined to the edges at the extremities of the focal range. In terms of centre sharpness it has edged out the very good 18-105. The inbuilt lens stabilisation on the 18-135 is very effective and noticeably superior to that of the 18-105. This allows for sharp images at slower shutter speeds when handheld. Overall I would give the Sony 18-135 E mount lens a well deserved 4.4 out of 5. That's a great result for a consumer oriented ‘kit lens’ (albeit a fairly costly one). Is it a better choice than the Sony 18-105 f4 G? For the kind of walkabout stuff that I do f4 isn't needed and f4 isn't particularly useful for low light work either (but it’s a nice lens for video and press photography). I’ll find the extra reach of the 18-135 useful at times, and it's a more comfortable fit in my bag. I have no idea at this point if the Sony 18 to 135 lens suffers from copy variance. But from what I've seen, other user impressions seem very similar to my own. It's a lens which falls into the ‘very useful’ spectrum (as does the Sony 18 to 105 f4 G) and I'm a great believer in having a lens of this type available to anyone who enjoys travel photography – it’s a no-brainer. But if very small size is your priority then a standard kit zoom may be preferable for you, if you don't mind giving up some focal range. If speed is your thing then a standard zoom with a fast maximum aperture may better suit your needs, although at a higher price and potentially heavier weight.